Hi! I’m Steve Barrera. Thanks for stopping by. I live and work in the Greater Philadelphia area. I am an ETL software tester by profession, but I also enjoy writing, tabletop gaming, reading and thinking about history and society, binge-watching television, and traveling with my BFF. We especially like going to the Big Apple to catch a show – someday we’ll see Hamilton! 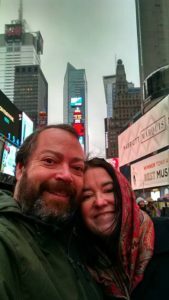 I’m entering my fifties now and I started this blog to chronicle life in these times of rapid change. You can learn more about me and read other stuff I’ve written at http://sbarrera.home.mindspring.com/ or follow me on twitter @stevemanbarrera.